With frigid temperatures gripping New York City, the NYPD’s 71st Precinct has been targeting law abiding residents for ‘remote-starting’ their cars, slapping them with criminal summonses that carry fines as high as $250 and require appearance in criminal court. Frigid temperatures have been gripping New York City, and a massive nor’easter dumped nearly a foot of snow on the region. In an effort to break the deep freeze, motorists have been taking advantage of a feature available on many vehicles – remote starting the engine. 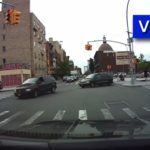 Before packing children into cars, or heading off to work, it helps to be able to get a head start on getting the car warmed up – only for one Crown Heights it a strange and infuriating turn for the worse. The office then said that it is illegal to leave the key in a car while it is running. He responded by pulling his key fob out of his pocket and showing the officer that he in fact did not leave it in the car, and that the car was locked, secured and would be impossible to drive off with it. 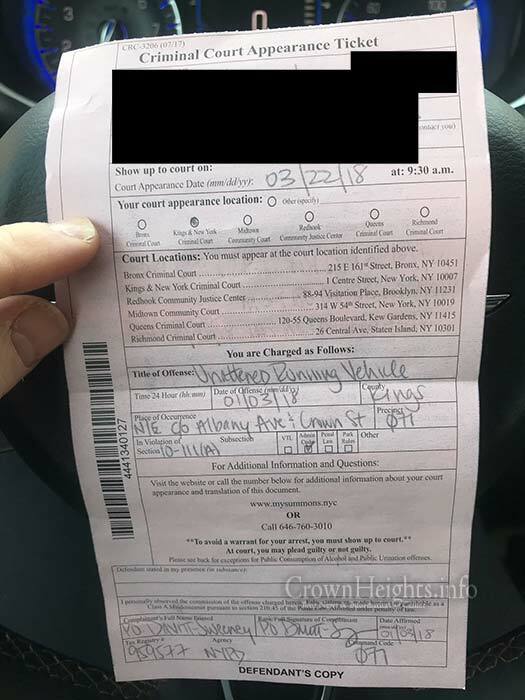 The officer responded “well you know that today they have devices that can hack [the car]” and proceeded to issue him a criminal court summons, which requires a court appearance and carries a $250 fine. 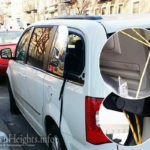 “I posted this on my Shul [synagogue] chat and heard that others have received similar summonses” the owner of the vehicle told CrownHeights.info. The summons was issued by officer Davitt-Sweeney of the 71st Precinct. We reached out the 71st Precinct in hopes of receiving clarification and were told that it is being looked into. they are trying to make up their quota. cops these days are nothing more than glorified brownies. it giving tickets should be way below their dignity. Respect is a two way street. I am not from CH and have a great attitude and respect for the police in my area. The officers patrolling CH seem substandard and ill-informed to say the least. I have gotten more tickets in CH then everywhere else combined and everyone of them was dismissed. From talking on the phone while driving (with no phone in the car) to driving with a suspended license (clearly valid). It is absurd how CH residents have to put up with this trash. Now you know hiw 71 pct protecting our community. And you have the paper trail to prove it. I don’t think the Police are intentionally trying to issue tickets for any reason other than to bring awareness to the Public that their vehicles are at risk of being stolen. When the vehicles are stolen, the Police have to spend time, energy and monies trying to recover them. It puts our Law Enforcement at increased personal risk. It would help if they wrote tickets for actual infractions, not made up ones like in this case. Cops should be prosecuted for writing false summonses. the law was set up for polluttion. i don’t remember the law verbatum; however, the law is in effect to control just how long an idle vehicle can leave the engine running. You obviously don’t know how remote starters work, then. When you remote start a car, it has no key in it. It can’t be driven away unless the key is present, inside the vehicle, and the ignition button started. For the argument that someone can hack your car, that may be true. If the law is you can’t use remote start then he should have gotten a ticket for that. Giving out tickets for something similar to an offensive is ridiculous. Right other wise they wud be able to sit in their police cars & watch movies, but to earn their pay is asking for to much?. We need the community council to step up and do something once and for all. Just another way for our socialist mayor to make a buck for the city. So if you sit in the freezing car with your kids waiting for it to warm up that is OK ? Yet they didnt, they wrote a defective and false ticket instead and when they were challenged they covered it by the ridicules ‘hacking’ excuse… gimmy a break! YOU should be punished for telling such tall tales AND spending so much time on the internet isn’t it cold in your mommy’s basement? Probably an error by an overzealous officer. It does not pay to declare war because of it. a. It shall be unlawful for any person driving or in charge of a motor vehicle to permit it to stand unattended on the streets or thoroughfares of the city, without first stopping the engine, locking the ignition and, where the ignition is locked or unlocked by a key or other device, removing such key or other device. This being the case, it doesn’t appear to matter if there is a key in the ignition or not. What matters is that the engine was left running. The same thing is enforced here in Wisconsin. There have been countless situations where cars were stolen when the engine was left running to warm up, at least one of these I can remember there was a child in the car as the mother was loading the kids while the engine warmed up. It was a remote start, you cannot access the car or drive off with it, if your are not in the car with the key fob. Seems to be that this statement is most pertinent to the details of this story, since the “key or other device” was not in the vehicle. 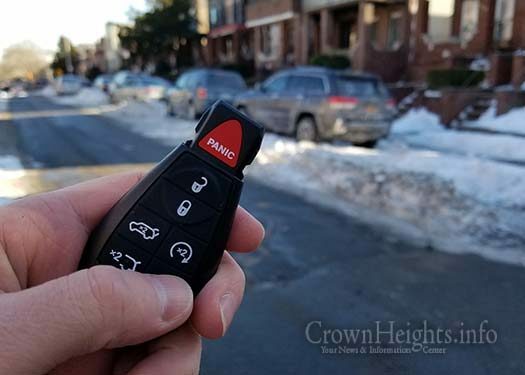 The vehicle was started from inside the persons home using the remote start function that came as a factory option with the car. He also pointed this out to the officer, who decided in her own infinite wisdom to to amend, modify and apply a completely made up law to punitively pushing an otherwise law abiding citizen. Doesn’t matter how it is started or shut down. The fact that the engine has not been shut down is what they’re writing the ticket for. Seems like the rule is that if the vehicle is on the streets it may not be left running if no one is there to attend to it. Might be allowable in a private driveway, but apparently not on a public street. So if any of the three is lacking then a ticket cannot be written for the aforesaid violation. In this case the ‘other device’ (key fob) was not present in the vehicle so the ticket is invalid. So once again *removing such key or other device. * Is the pertinent statement that does not apply here. Once the cop was made aware of this by the motorist the cop committed a Class A Misdemeanor pursuant to section 210.45 of the Penal Law, by affirming that he/she observed the commission of this offense despite knowledge to the contrary. We don’t have a COMUNITY council!!!!! If you (the driver) see cops standing by a running car waiting for you the driver to come, turn it off from a distance. the epa rule is null and void when the temp is below 20 deg. if your car is covered in snow, starting it without clearing the snow from the muffler can cause the fumes to feed back into the car and cause carbon dioxide poisoning. Thank you for your post. Can you please clarify what areas of the car must be clear of snow to prevent carbon monoxide poisoning? Yes! Someone died this way last winter. P.S. car idling laws apply whether or not the keys are in the ignition. If the law of leaving an unattended car with the engine running is to prevent car theft – there should be a law against leaving the KEYS in an unattended car – no matter if the engine is on or off! Therefore, this law has NOTHING to do with preventing car thefts. In a private driveway, you CAN leave the car running while unattended! It is only on public streets that it cannot be done. Yet cars can just as easily be stolen from a driveway as from the curb of a street! This law has NOTHING to do with theft prevention!